All prices include packaging and standard shipping via USPS. All prints are on high-quality card stock (think: postcard). 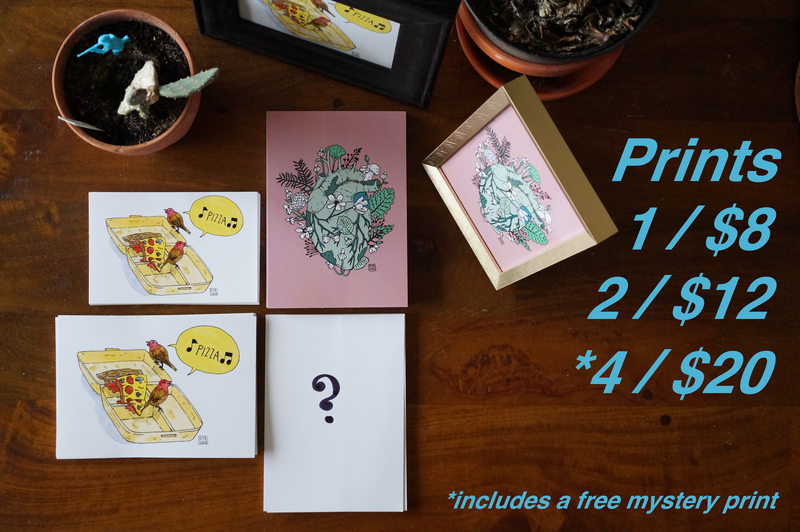 If you buy (4), you’ll get a free mystery print as a gift (while supplies last). I’ll respond, verifying the price. Send money via PayPal to robertjamesrussell@gmail.com. For COMMISSIONS (in any medium) or questions about the use of any art, please contact me at robertjamesrussell@gmail.com.